14 Home Remedies for Flu - How to Fight Flu with Best Tips & Foods? Home Remedies for Flu – 14 Smart And Easy Ways To Get Rid Of Flu In No Time! A runny nose, persistent cough, and an irritable sore throat may not let you do your own thing in peace! But, not until you have a list of best home remedies for flu in your reach. Sometimes, it is the small and sensible tips that bring in a lot of desirable comfort and relieve you from the shackles of uneasiness. If the flu has been consistent for more than three weeks, it is a must that you see your doctor. But, if you are sure that the flu is just seasonal and the symptoms are not really so intense, you are probably in the right place! Get ready for the best self-treatment as these tips also include some Indian home remedies for flu that are backed by a scientific reason why they work in providing great relief! Home Remedies for Flu – How To Cure Flu Fast Without Medicine? Who would want to wake up with a sore throat and a runny nose? Unfortunately, these make the most annoying flu symptoms that can ruin your good mood and your day! The best remedy you can practice early in the morning is to gargle with salt water so that a sore throat does not bother you for the rest of the day. You can mix a teaspoon of salt in one cup of water and use this to gargle at least 3-4 times in a day to obtain relief. Why Salt Water Gargle Works? Salt is said to be containing antimicrobial properties which makes it the best reagent to flush the bacteria or any other microbes that have been causing irritation in your throat. Gargling also impacts your mucus by reducing its thickness, thereby clearing your throat. 2. Why Hot Water Bath Is One Of The Best Home Remedies For Flu? Nothing works best than a hot water bath when you are suffering from the flu. Opting for hot and steamy bath twice in a day will ease your symptoms and make you feel more relaxed. You will notice that you are able to breathe much better soon after having a steamy shower. Steam baths work the best in clearing your nasal passages and relieving you from the nasal congestion. You can simply inhale the steam several times in a day for obtaining relief, but opting for hot and steamy baths can give you a deep sense of relaxation and simultaneously relieve you from the blockage of your breathing passage. Try making your surroundings cosy and convenient because all you need right now is a warm treatment to reduce the flu symptoms. Having those hot sips of herbal teas from time to time is probably one of the best home remedies for flu. Good news is that there are numerous varieties of herbal teas available to give you a soothing effect. You can try one single variety of herbal tea each day to make yourself feel better. The best herbal teas that you can brew for yourself are ginger tea, peppermint tea, basil tea, dandelion tea or chamomile tea. Most herbal teas contain antimicrobial properties which can kill the irritants present in your throat. A warm cup of ginger tea can also relieve you from the body pains due to its anti-inflammatory properties. Try to drink any of the herbal teas twice in a day to combat the flu symptoms and to gain a deep sense of relief. The purpose of using a humidifier is to moist your surrounding environment and to reduce the constant irritation that has occurred in your throat due to dryness. Humidifiers are the most commonly used home remedies for flu because they work efficiently for the flu symptoms like nasal congestion, a dry cough, and a sinus congestion. There are various types of humidifiers such as steam vaporizers, central humidifiers, impeller humidifiers, ultrasonic humidifiers and evaporators. You may have to cross check to know which humidifier works the best for your condition. Try not to overuse the humidifiers to avoid complications and ensure that you purchase the right one that serves your purpose. A dry environment gives the flu a better chance to sustain. 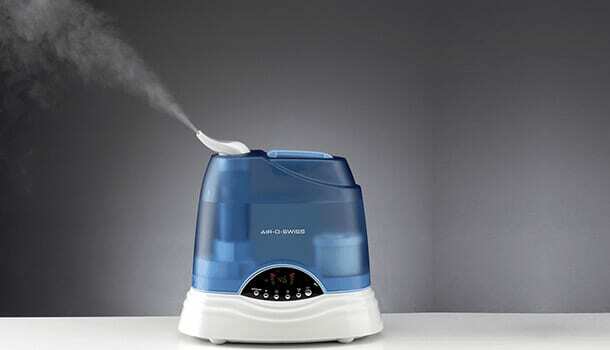 Converse to this, a humidifier helps in moisturizing the environment and keeping the surroundings warm. This also reduces the symptoms of itchiness, irritation and reducing other annoying symptoms like nasal congestion caused due to flu. Steaming is probably an age old method and the best natural method which just involves a pot of hot water and any essential oil of your choice to reduce the symptoms of running nose and a sore throat. Treating yourself with the vapours provides a great relief from nasal congestion and clears your throat instantly. Collect water in a large vessel and bring it to boil. Turn off the flame and slide a lid over the vessel to not let the vapours escape so easily. Add any essential oil of your choice to the boiling water. Lean forward over the vessel such that your face is exposed to the steam and its vapours. You can cover yourself with a cloth or a towel during the process to not let the vapours escape from the vessel. Stay in for around 5-10 minutes and try to breathe. Steaming can instantly clear your nasal passages and keep you sane. Adding essential oils to the water helps you fight the infection and further strengthens your immune system. Try steaming whenever you experience a blocked nose or experience a severe nasal congestion. The purpose of using lozenges for a cold and a dry throat is to keep your throat moist. A dry throat can elevate your symptoms like a frequent irritation and a dry cough. You can try the best lozenges that work for a dry throat such as ginger and lemon flavoured lozenges so that the flavors have the best soothing effect on your sore throat. Sucking on lozenges frequently can help in eliminating the microbes from your throat and relieve you from flu symptoms. It is very common to feel dehydrated when you are attacked with flu because you may lose the electrolytes due to sweat and there may be an overall reduction in the consumption of food and water due to loss of appetite which may worsen your condition. Drinking water at regular intervals is not only essential for maintaining a good hydration but also to keep your throat moist and to flush out the microbes from your throat. Make a habit of sipping water at regular intervals (for every 15 minutes) so that you do not let your throat become dry and scratchy. Drinking fruit juices may also help you if you feel that the plain water does not appetize you much. Foods That Help Flu – What Foods To Take? The food that you take when you are suffering from flu has a major impact on your symptoms because of the reactions that your body shows to the constituents present in the foods. 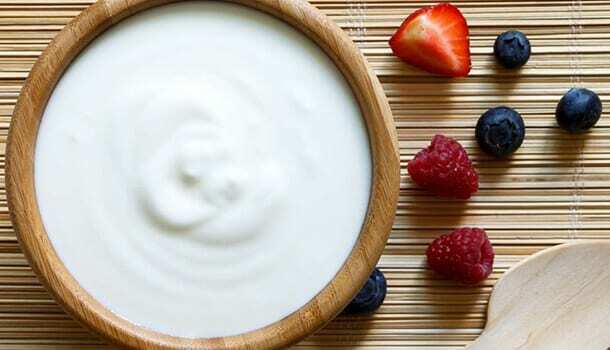 The best source of probiotics and the best food that soothes your sore throat is yogurt. Probiotics are a kind of friendly bacteria that help in improvising your gut health and boost your immune helping you in a speedy recovery! Moreover, yogurt provides a good moisture to your throat, soothes your throat and reduces the itchiness and dryness! Ensure that you consume 2 cups of fresh Greek yogurt per day for a quick recovery! Apart from herbal teas, other beverages that are brewed using the best spices can instantly relieve you from the flu symptoms. 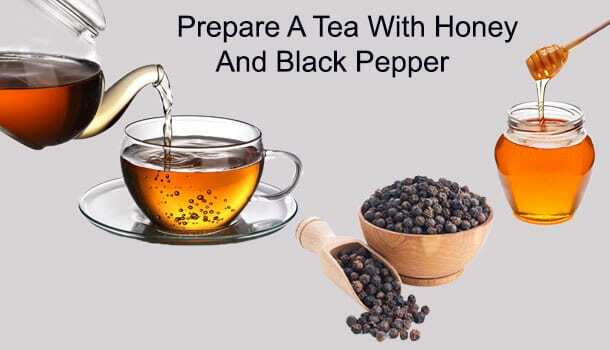 Pepper relieves you from severe cold due to its antibacterial properties whereas honey can reduce the itchiness and dryness in your throat to relieve you from a cough. Take a handful of pepper and crush them to obtain a powder. Mix a teaspoon of this powder with a tablespoon of honey and add the mixture into a cup of water. Let it steep for 5 minutes. Use a sieve to collect the tea to prepare your healthy evening drink that acts as the best remedy for flu. 10. How To Get Rid Of The Flu Using Ginger? One best remedy for flu is to slice and add ginger more often into your diet. You can also chew a raw ginger slice twice in a day to get rid of a cough, dry throat and itchiness. Ginger contains anti-inflammatory properties that can suppress your flu symptoms and reduce the irritation in your throat. The best way to make the best use of ginger is to chop the ginger into fine slices and add them into the boiling water. Use a mesh or sieve to collect the flavoured water separately and sip the water at regular intervals. Garlic contains a special compound called allicin which shows the best medicinal value when it comes to treating cold and infections. Garlic helps in boosting immunity so that your body works on its best possible extent to fight the disease. You can spice up your dishes using chopped garlic or you can prepare a garlic tea of your own to fight the flu symptoms. To prepare a garlic tea, you just have to chop the garlic clove into small pieces and boil them in water for 5 minutes. Strain the tea and savour the drink once or twice a day as the best remedy. Chicken soup is the best starter you can have while suffering from the flu(1). Studies have proven that drinking chicken soup at regular intervals can loosen your mucus and make it thin so that you can breathe easily without any congestion. You can also add in other healthy vegetables like carrots and cilantro into the soup so that you obtain the maximum nutritional benefits out of the soup. Chicken provides good amounts of selenium and proteins to your body so that you obtain a quick recovery. 13. Why Is Spinach One Of The Best Home Remedies For Flu? 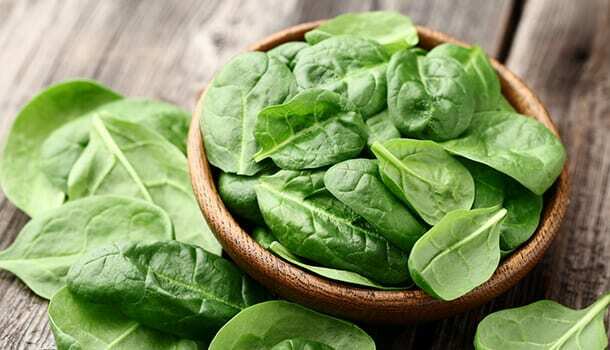 Spinach is one of the powerful leafy greens containing good amounts of Vitamin C, Vitamin E, Vitamin K, folate, riboflavin, betaine, Vitamin A, choline, vitamin B6 and antioxidant properties that can damage the free radicals and boost your immunity. Including any of the leafy green vegetables, one variety per day is essential for quick recovery. Since spinach contains nutrient rich and immune boosting properties, it can be considered as the best remedy for flu. 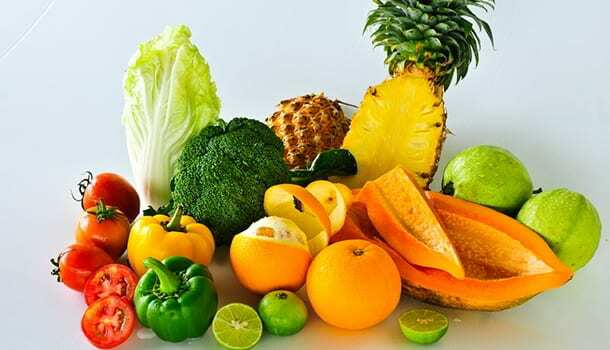 Vitamin C rich foods should be your topmost priority when it comes to fighting cold and flu because they contain rich antioxidant properties which help in naturally healing you from inside, thereby helping in a speedy recovery. The best vitamin C rich foods that you can choose from are Kiwis, Brussels sprouts, Tomatoes, papayas, broccoli, all citrus fruits and red bell peppers. Be more particular about kiwis because apart from being the best vitamin C rich foods, kiwis are a great source of antioxidants. Best Tips To Attain A Quick Recovery! A quick recovery requires you to make some lifestyle changes and follow some simple habits apart from the above-mentioned home remedies for flu(2) so that the duration of the flu is reduced! Stay away from sugary foods to prevent throat itchiness and cough. Avoid alcohol as it increases your drowsiness and worsens your condition. Try to avoid coffee as much as possible, as it is a diuretic which makes you urinate more and results in dehydration. Ensure that you get a minimum of eight hours sleep because a good sleep promotes a good immune system. Do not stress yourself. Take a break from your work or try to get off the workload as soon as possible so that you get to take a proper self-care. Finally, when you get rid of the flu, start including more vitamin D rich foods into your diet because when there is enough Vitamin D in your diet, you are less susceptible to respiratory infections!